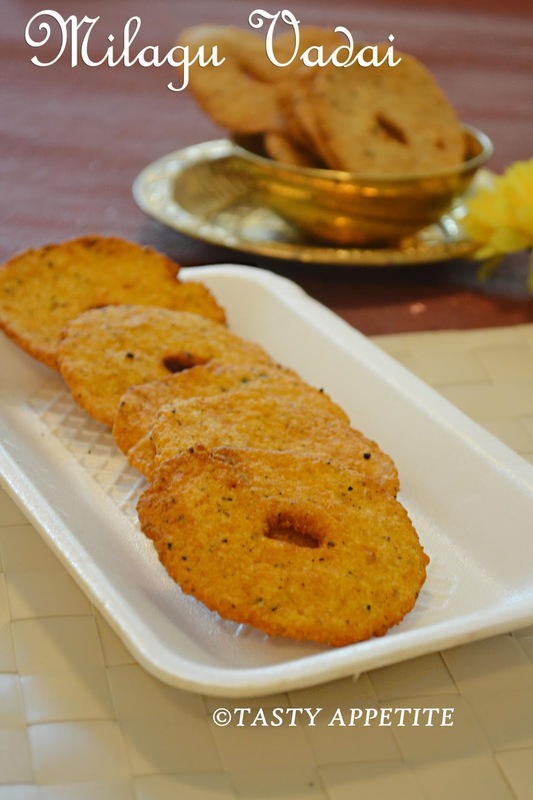 Milagu Vadai / Peppercorn fritters or Anjaneyar Vadai is a deep fried snack that is prepared as an offering to Lord Anjaneya. 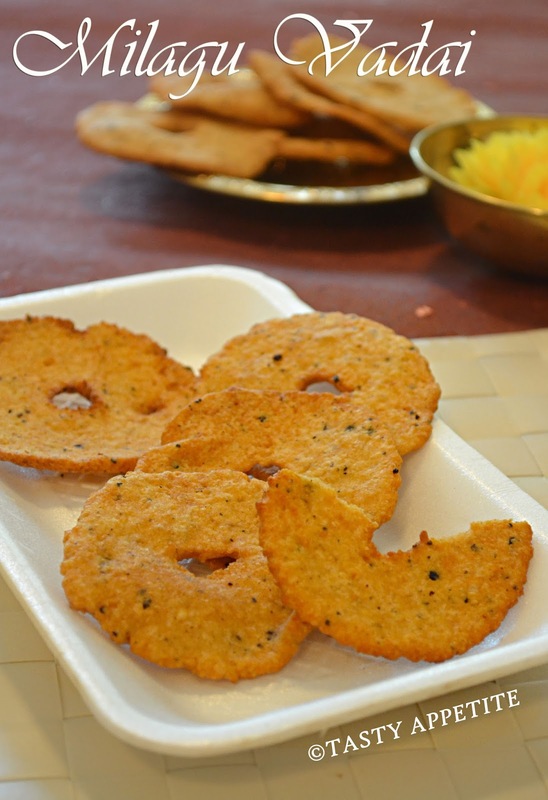 Last month, for Hanuman Jayanthi we prepared this crispy, crunchy, yummy and peppery Vadais for prasadam. 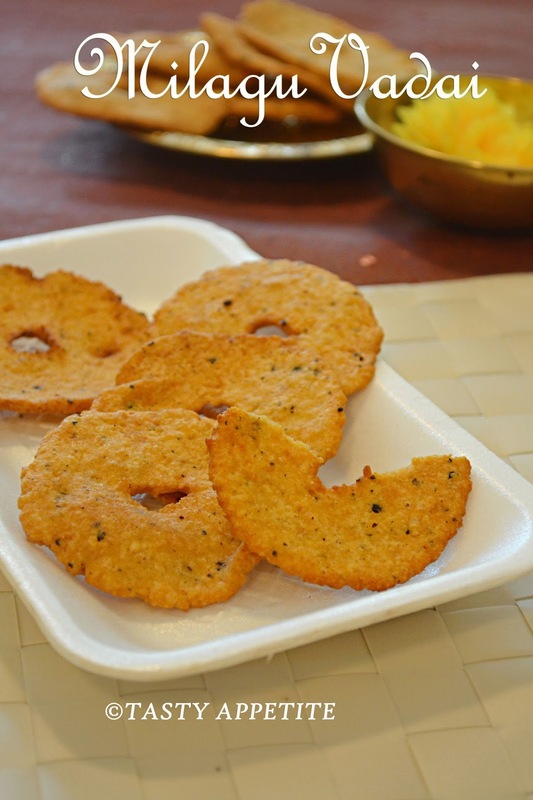 We used to make a malai ( necklace) with this snack and offer to God as Vadamalai during pooja. It tasted hot, crispy & crunchy with a sooper hint of...pepper flavor..! 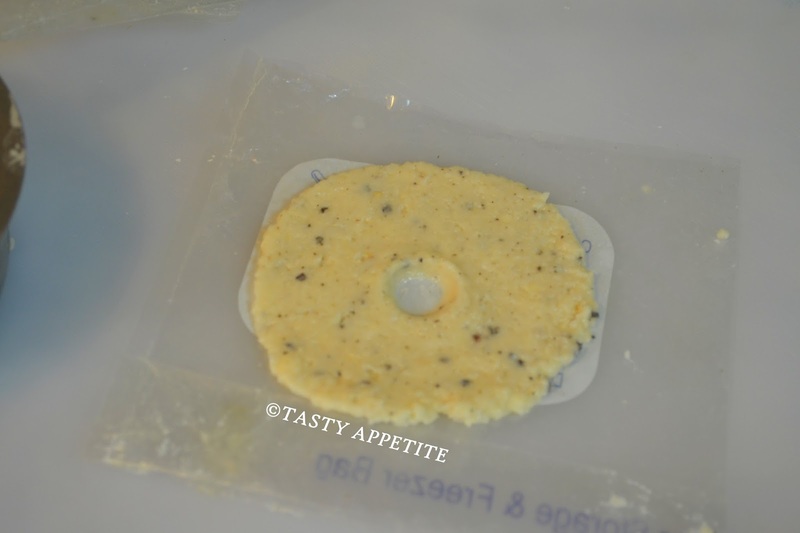 Lets see how to prepare this crunchy thin diskettes, Anjaneyar Vadai..! 1. 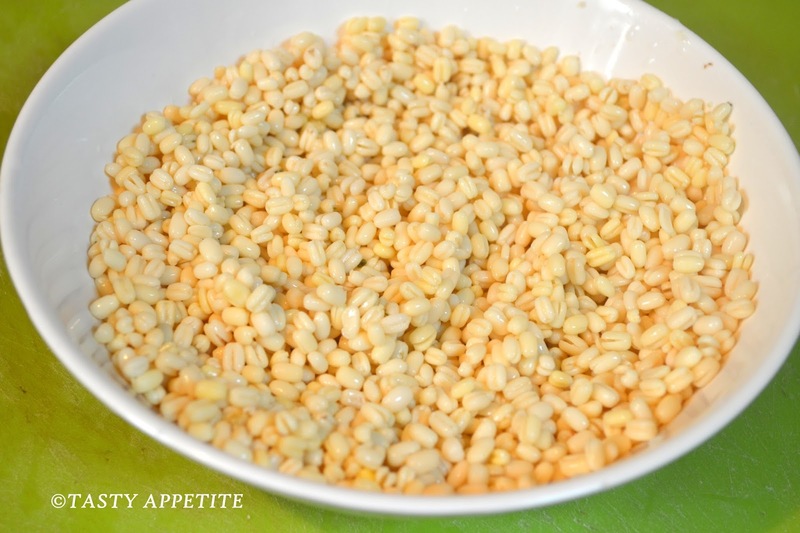 Wash and soak urad dal for an hour. 4. 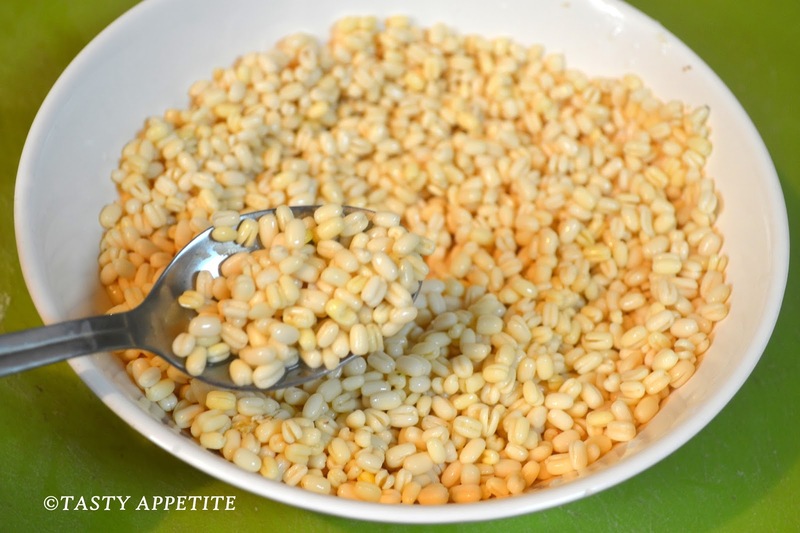 Add a tsp of pepper corns and salt. 6. 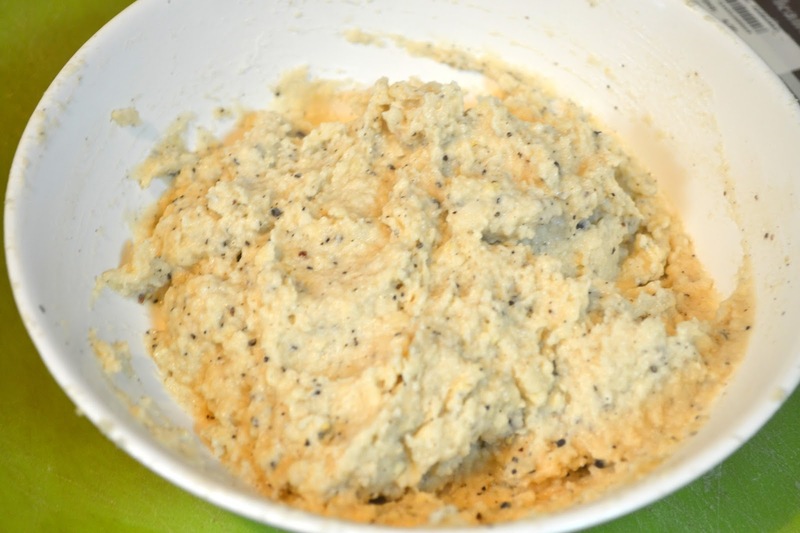 Transfer it to mixing bowl. 7. 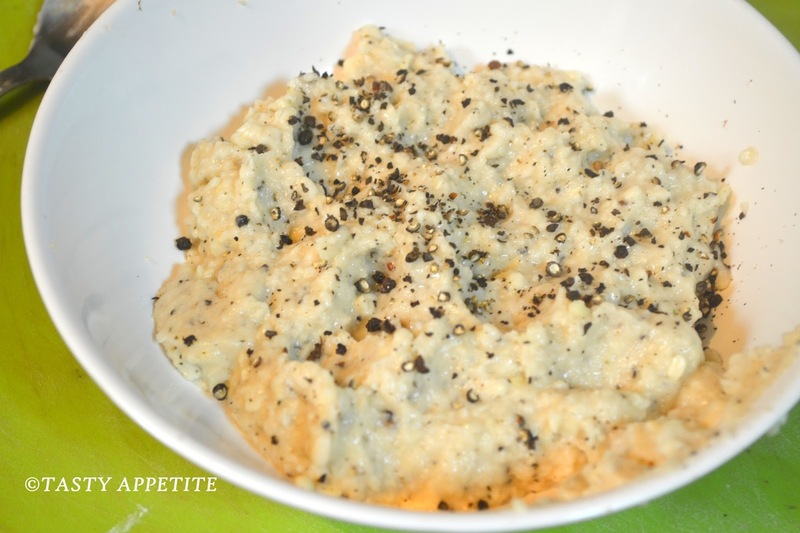 Add coarsely crushed pepper corns. 9. Add a tbsp of hot oil and pour on the batter. 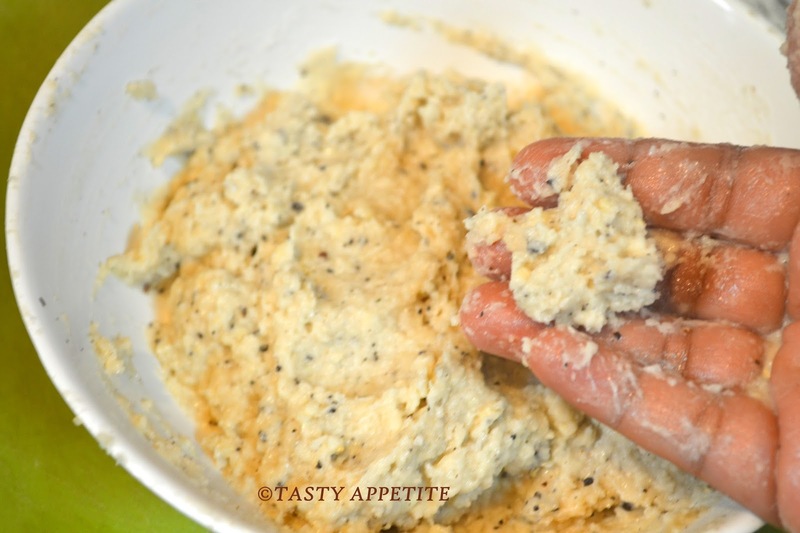 The batter should be thick as shown in the pic to get crispy vadais. 11. Heat oil in a frypan. 12. 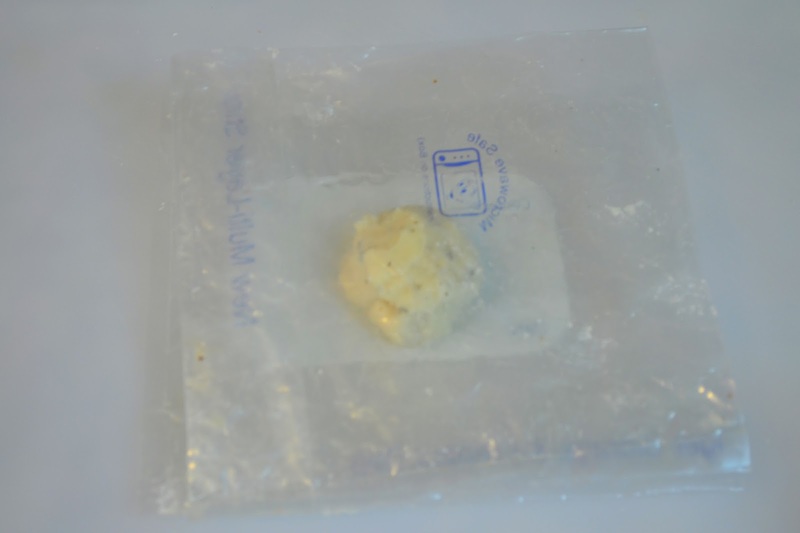 Grease two plastic / ziplock sheets with oil. 13. 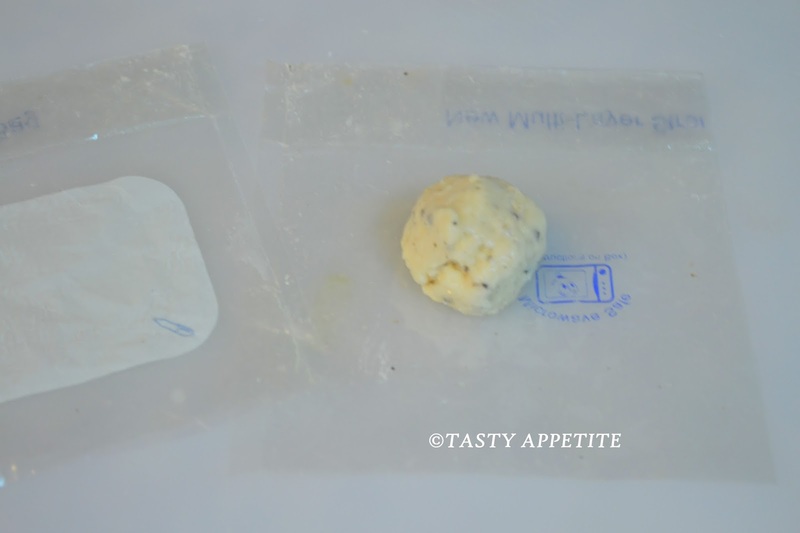 Wet your hands with water and take small lemon sized balls and place it in the greased sheet. 14. Close it with another greased sheet. 15. Now press it gently with any cup as shown in the pic. 16. Mark a hole in the centre. 17. Now take it out and drop it in hot oil carefully. 18. 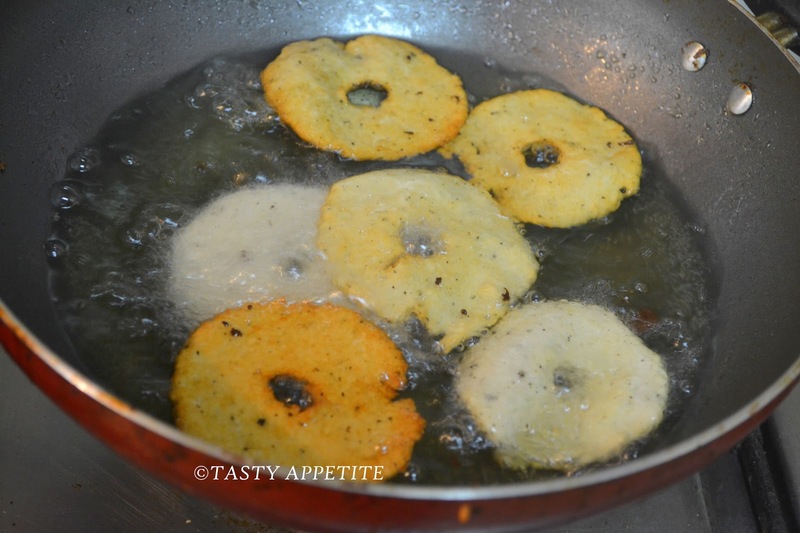 Deep fry until it is crisp and light brown on both sides. 19. 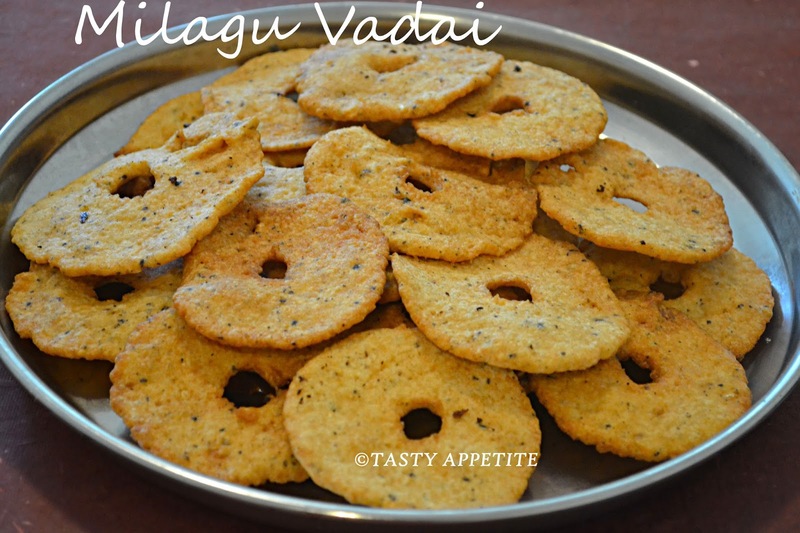 Once the vadais are done, drain them on paper towels. 20. 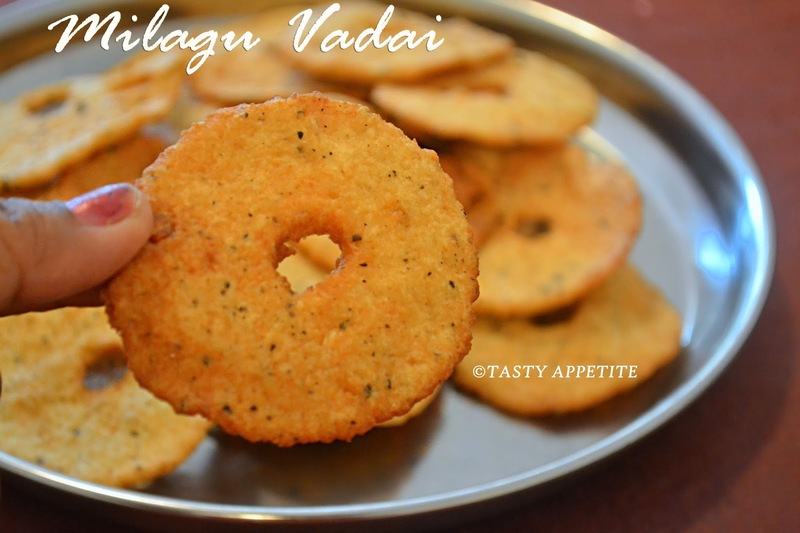 If needed, you can cook the slightly browned vadais again till it turns nicely crisp. 21. 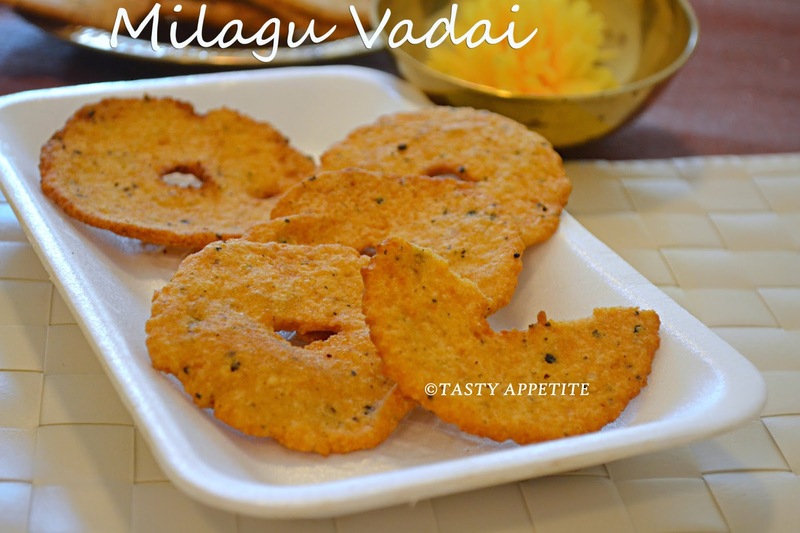 Crispy, crunchy Milagu vadai is ready. 22. It makes a sooper hot n spicy snack along with piping hot cup of evening tea. 23. Store in clean, air tight containers to keep it crispy for longer time. 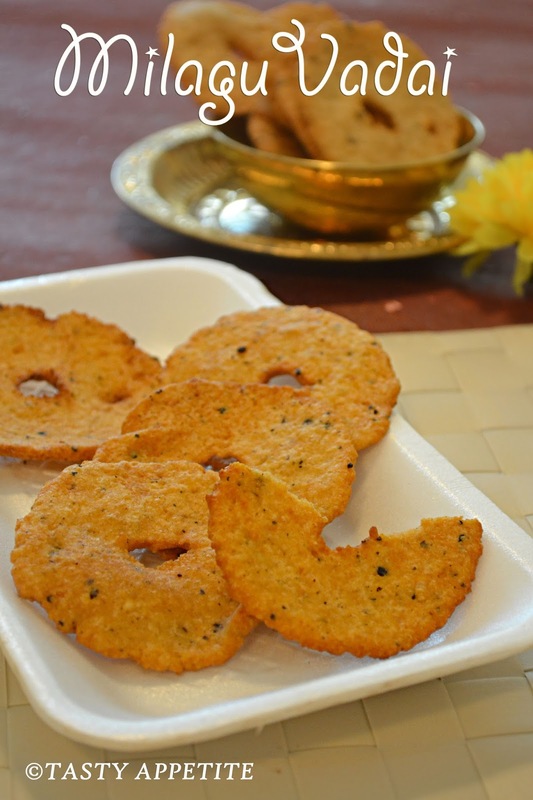 Try this easy recipe at your home and enjoy the peppery vadai..! 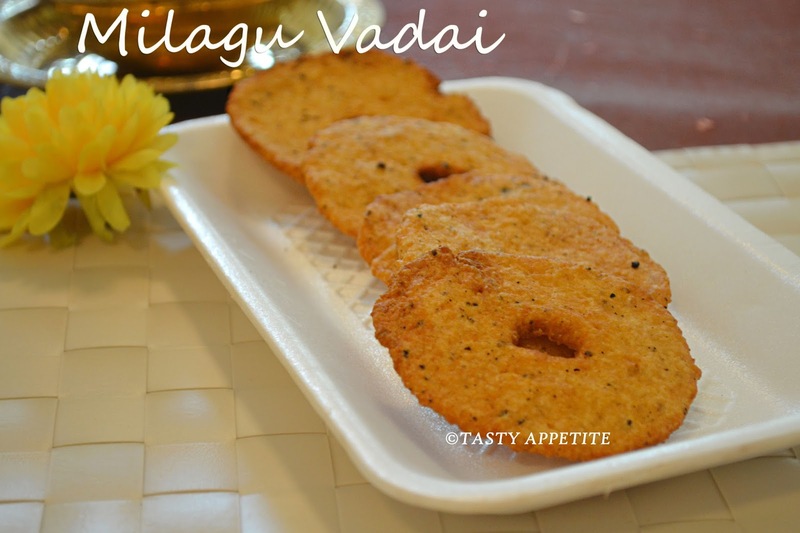 vadai looks sooo yumm.. Nice tempting clicks. Very well made, so crispy and the pictorial representation helps to understand clearly. Been a while i had this super crispy vadas, soo addictive they are. so perfect and soon going to try it!!! wow!! 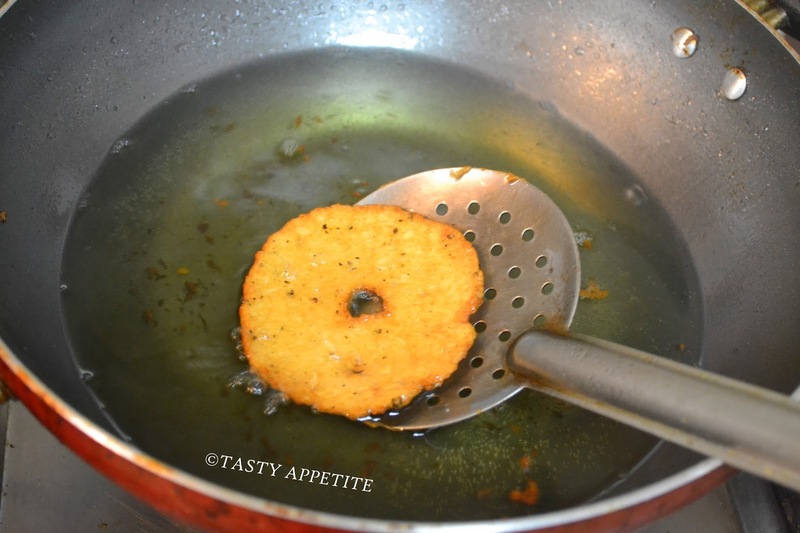 yummy & crispy vadai!! Such an elaborate step by step presentation... I m sure.. , we can always look back..whenever we have to make it!! Delicious, I had a friend bring me some during Hanuman Jayanthi!